Proetta and Oliver is an experienced Burlington County criminal law firm that handles matters at the Burlington County Superior Court and Palmyra Municipal Court. If you have been charged with an indictable felony offense or a misdemeanor disorderly persons offense, contact our Mount Laurel Offices. Former NJ Deputy Attorney General, William C. Fay, IV, heads our criminal practice in Burlington and he will discuss your charges and what you can expect from this process. If you or someone in your family have been charged with a criminal offense in the Borough of Palmyra, call (609) 850-8284 today. Our firm is available 24/7 to discuss your cases involving marijuana possession, robbery, DWI, refusal, terroristic threats, disorderly conduct, harassment, aggravated assault or theft. Do I Need a Lawyer for Court in Palmyra? One of the hardest questions facing defendants is, “do I need an attorney?” It’s impossible to answer this question without having a complete picture of the defendant’s individual criminal history, circumstances of the offense and the nature of the charges. For this reason, we offer any potential client a free consultation so that we can discuss the specifics of your case and help guide you through the process. Our office prides itself on our litigation and advocacy skills. We understand that hiring an attorney is never an easy decision. We offer your the opportunity to ask us about our credentials and learn what we believe and can be done to fight back against your charges. For a complimentary consultation with an attorney, call (609) 850-8284. Chief Judge: Honorable Corey Ahart, J.M.C. Court Administrator: Tracey McGill, C.M.C.A. Location along the Delaware River and bordering Pennsylvania, Palmyra is a small borough of roughly 7,500 residents. Palmyra connects to Pennsylvania via the well-known Tacony-Palmyra Bridge. Between the bridge and Route 73, Palmyra sees a great deal of local and commuter traffic on a daily basis. For this reason, it should be no surprise that the Palmyra Police Department have issued over 1,500 criminal offenses and 3,500 traffic violations. 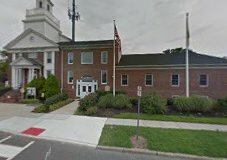 With the high volume of criminal and traffic charges, Palmyra Municipal Court and the Burlington County Superior Court can be very busy during court sessions. For more information about the Borough of Palmyra, please click here. At Proetta & Oliver, we understand the complex nature and interpersonal dynamics that exist when someone is facing criminal charges. Not only are you dealing with the stress and nerves of have to go to court, but you also need to be aware of potential future issues these charges may cause. Employers, schools and professional boards may use one lapse in judgement as grounds for termination or denial. Do not let one mistake haunt you for the rest of your life. Contact the Burlington County Criminal Defense Lawyers at Proetta & Oliver today for your complimentary consultation with an attorney. Located in Mount Laurel, our Burlington County office allows us to meet the immediate needs of our clients. Call (609) 850-8284 today. Our firm can be reached 24/7 for your convenience.